with what I call 'Intuitive Mandala Stitching'. 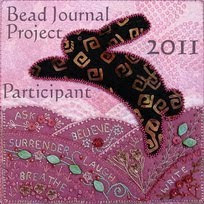 It was actually the first lesson of Susan Sorrell's online class"Creative Embroidery - Organic Design". mit dem, was ich 'Intuitives Mandala-Sticken' nenne. 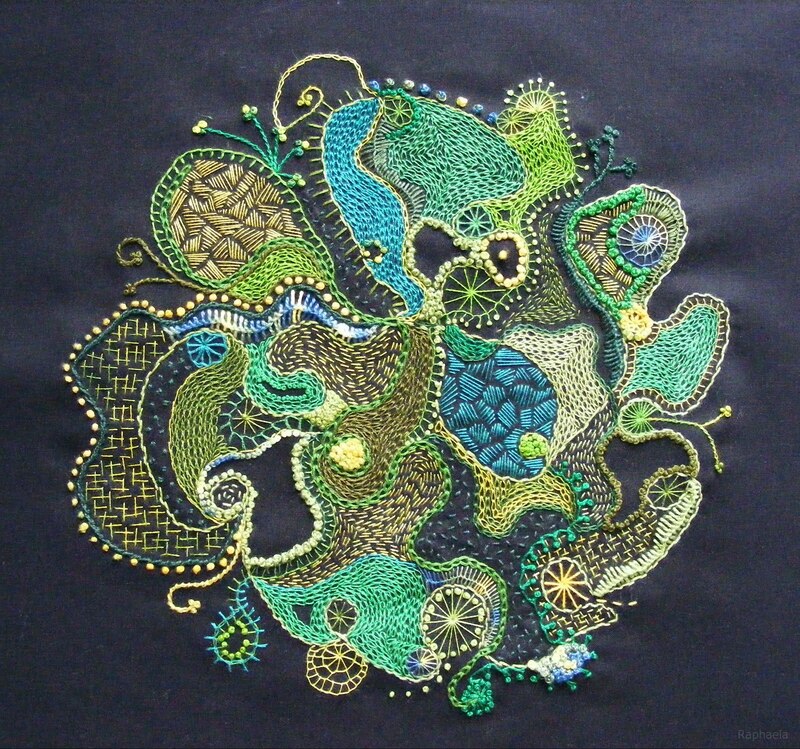 Es ist eigentlich die erste Lektion von Susan Sorrell's Online-Kurs "Creative Embroidery - Organic Design". Wow! I just love the colours, the shapes, the textures! It's a beauty. Fabulous mandala. What variety of stitches and what patience you must have. Really love the way this turned out!